His Harvest is an Australian charity and Public Benevolent Institution with Deductible Gift Recipient Status. We seek to partner with local communities nationally and internationally to set up developmental projects that relieve poverty, sickness, suffering, distress, misfortune, disability and destitution as well as seeking to partner, equip and empower people with a philanthropic heart. His Harvest seeks to have all administrative costs paid for by the board and merchandise sales so that 100% of donations reach the project. We are redefining charitable giving in Australia. Sycamore Health and His Harvest are partnered. You have several options for donating or participating in the charitable works of His Harvest simply by getting your treatment with Sycamore Health. 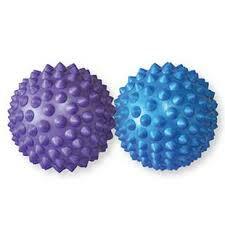 Currently, we are selling spiky massage balls for $10, with 100% of proceeds going to charity. You are even welcome to request a particular project. Please visit https://www.hisharvest.com.au to see how your generous gift could impact lives around the globe, or right here in Australia.